If you follow me on Instagram, you've probably seen some pictures I posted of Liam's first swim lesson. Before Liam was born, I saw a video on YouTube of little babies swimming in the water. I was so amazed I started researching baby swim and found out that there were several places in Utah county that offered baby swim lesson. 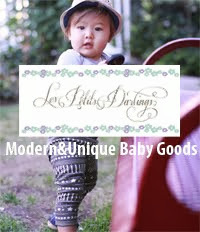 I looked into a couple of them and was ready to sign Liam up when he was six months old. I forgot why I hadn't. 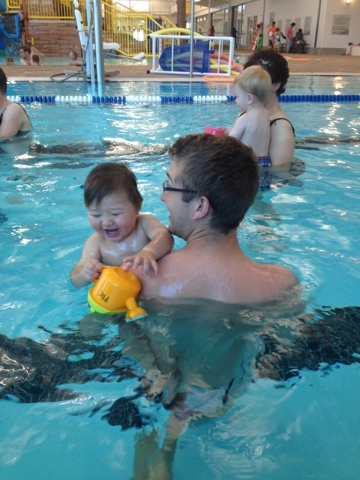 When the new Provo Rec center opened, I learned that there were some parents and tots swim classes that we could take there. 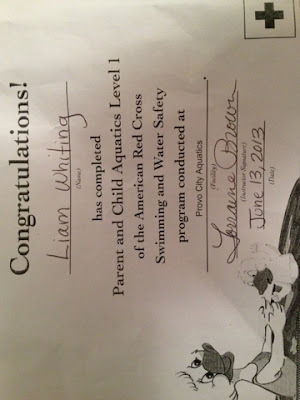 I signed Liam up and he has now completed his swim course. He even got a little certificate for it, which I thought was super cute. Liam loves water. He did really well during the lessons. He learned all kinds of water survival skills. 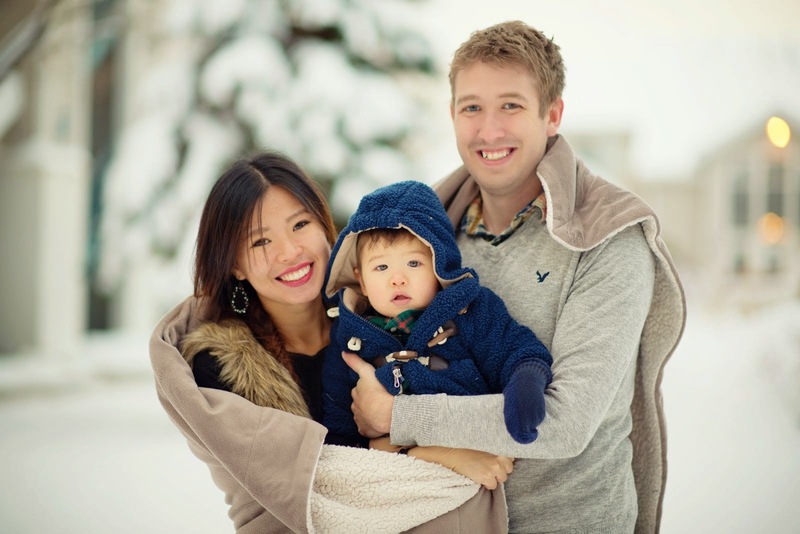 I also learned a lot about how to rescue my baby if he ever falls in the water. He never once cried or complained during his lessons, which I was so grateful for. I think it helps that we took him to Hawaii and took him swimming in the hotel pools and the ocean with us every day for two weeks straight. I only wish that the course was longer than 2 weeks. 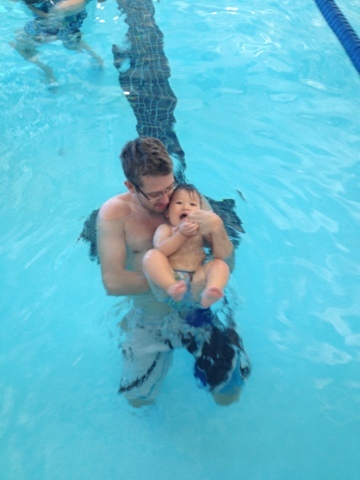 Not only was Liam okay with being dunked in the water, but he could now swim a really short distance, like maybe 3 feet. 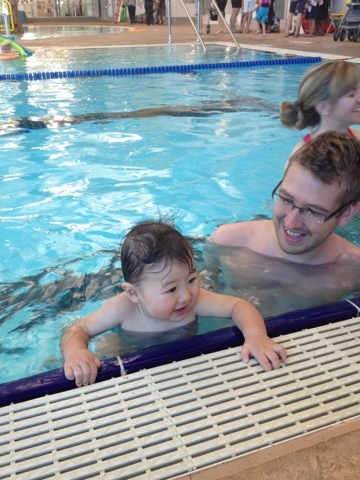 We tried that by making him swim to a goal/toy, and swimming from mommy to daddy and vice versa. He kicked kicked kicked really hard to get to his goal everytime I let go of him. He did so so well. The one thing he kinda disliked was back float. I think he just generally hates laying down on his back. We taught him to turn from his tummy to his back. We still need to do more practice on that skill. He'll eventually be able to do it.